Author: Dostoyevsky, Fyodor Set In . . . Description: Through the story of the brilliant but conflicted young Raskolnikov and the murder he commits, Fyodor Dostoyevsky explores the theme of redemption through suffering. 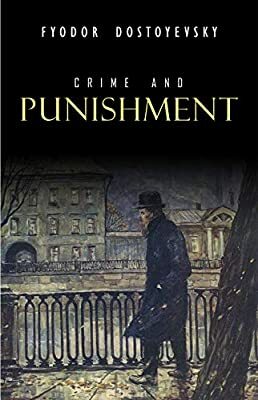 “Crime and Punishment” put Dostoyevsky at the forefront of Russian writers when it appeared in 1866 and is now one of the most famous and influential novels in world literature. The poverty-stricken Raskolnikov, a talented student, devises a theory about extraordinary men being above the law, since in their brilliance they think “new thoughts” and so contribute to society. He then sets out to prove his theory by murdering a vile, cynical old pawnbroker and her sister. The act brings Raskolnikov into contact with his own buried conscience and with two characters — the deeply religious Sonia, who has endured great suffering, and Porfiry, the intelligent and discerning official who is charged with investigating the murder — both of whom compel Raskolnikov to feel the split in his nature. Dostoyevsky provides readers with a suspenseful, penetrating psychological analysis that goes beyond the crime — which in the course of the novel demands drastic punishment — to reveal something about the human condition: The more we intellectualize, the more imprisoned we become.